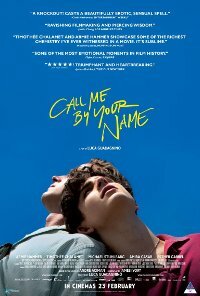 Set in the summer of 1983 in the north of Italy, a precocious 17-year-old young man spends his days in his family’s 17th century villa transcribing and playing classical music, reading, and flirting with his friend. He enjoys a close relationship with his father, an eminent professor specializing in Greco-Roman culture, and his mother, a translator. While his sophistication and intellectual gifts suggest he is already a fully-fledged adult, there is much that yet remains innocent and unformed about him, particularly about matters of the heart. One day, a 24-year-old American college graduate student working on his doctorate, arrives as the annual summer intern tasked with helping the professor. The two youths soon discover the heady beauty of awakening desire over the course of a summer that will alter their lives forever. The film has numerous awards and nominations to its credit, including four Oscar noms.